In this work, the well-dispersed LiMnO2 nanowires of diameter 100 nm were successfully prepared via a simple one-pot hydrothermal method. The morphology of the nanowires during their growth was dependent on the reaction time. The LiMnO2 nanowires were possibly formed by a nucleation and regrowth process. The LiMnO2 nanowires-graphene nanoplatelets (LiMnO2 nanowires-GNP) composite was then prepared by the direct milling of one-dimensional LiMnO2 nanowires and two-dimensional GNP. The LiMnO2 nanowires-GNP composite was employed as an electrode material to investigate its electrochemical performance. The LiMnO2 nanowires-GNP composite exhibited an outstanding mass-specific capacitance of 147 F g−1 at 5 mV s−1, as revealed by cyclic voltammetry measurement. This was more than three times higher than that exhibited by LiMnO2 nanowires (41 F g−1). The cycling performance of LiMnO2 nanowires-GNP electrode revealed a capacitance retention of 86% after 1000 charge–discharge cycles at 5 A g−1, which was superior to that exhibited by the LiMnO2 nanowires. Besides, the resistance of the LiMnO2 nanowires-GNP was lower than that of LiMnO2 nanowires, demonstrating that these hybrids could be considered as next generation electrode materials for electrochemical energy storage and conversion devices. This research was supported by the Basic Science Research Program through the National Research Foundation of Korea (NRF) funded by the Ministry of Education (NRF-2017R1D1A1B03032466). 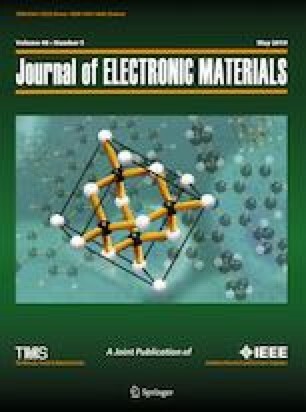 This work was supported by the Technology Innovation Program (10052774, Development of hybrid supercapacitor by nano structure carbon for ISG Applications) funded by the Ministry of Trade, Industry & Energy (MI, Korea).